Whether by degree or wholesale, there is little doubt Samsung copied Apple’s iPhone and iPad. However, before the Apple v Samsung trial began, the court ordered the two warring parties to negotiate a settlement. Needless to say, that didn’t work out and now court documents show why — Apple wanted massive per device royalties. 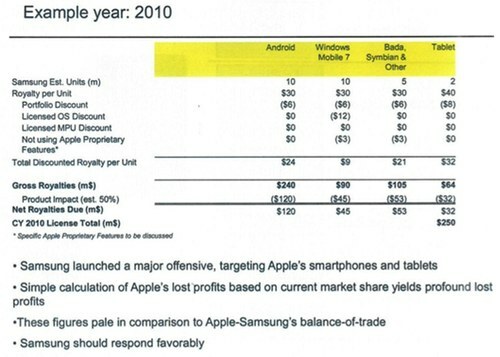 The latest document (See the full version, table below) submitted into evidence in the Apple v Samsung case show just how adamantly, or alternately how they were, greedy Cupertino wanted (All Things D) serious royalty payment from the Korean consumer electronics giant — $30 per smartphone and $40 for each tablet sold. 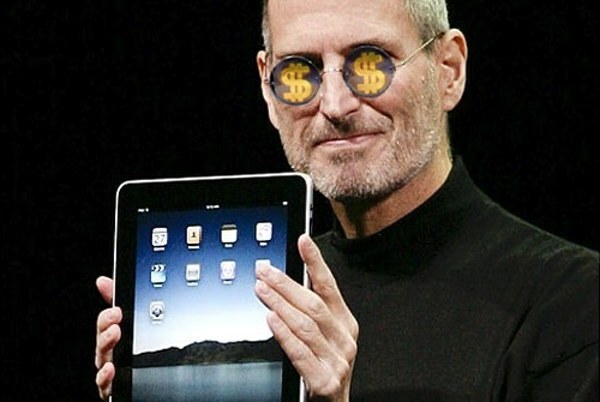 Even assuming just the Samsung devices covered by the suit — 21.25 million handsets and 1.4 million tablets — it’s clear that Apple demanded nearly $700 million in royalties. Of course, Apple wasn’t seeking that “small” amount as their court filings are asking for $2.5 billion in damages — not royalties, but damages. Given Apple’s demands and the embarrassing revelations about Samsung thus far, it’s clear that bitterness and pride are driving both sides. With what is now known, is an Apple v Samsung settlement even possible?